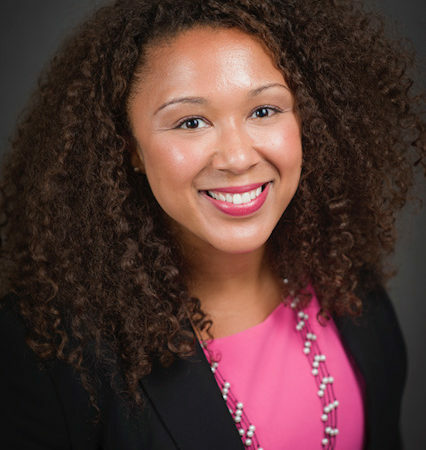 November Member of the Month - Salena Jones, General Counsel, Office of the Controller, City of Philadelphia | The Barristers' Association of Philadelphia, Inc. I am assisting the City Controller’s Investigation’s Division with a confidential investigation. I was also recently tasked with leading the Controller’s Office’s Civic Engagement Division. I am excited to get out into the community and speak to residents of Philadelphia about fraud, waste, and abuse in City government. 2. 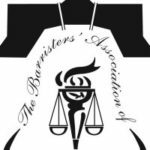 What do you enjoy most about being a member of the Barristers’ Association of Philadelphia? The good feeling I have at the end of each meeting. There hasn’t been a meeting I’ve left where I didn’t feel better than when I came in. There is always something to take away from each guest speaker. 3. What has been the most important personal attribute in your legal career? As a lifelong resident of Philadelphia who comes from very humble beginnings, I think I have a natural ability to connect and relate to people from varying walks of life. 4. Tell us about what you do every day at work? Reading. Lots and lots of reading. I provide legal advice on strategy and implementation to the Controller’s Office executive staff and the City Controller, as well as ensure that the office operates within the legal parameters of its appointed power. 5. If you hit the lottery tonight, where could we find you tomorrow? At work. I’d probably be very secretive about it at first. Is Pennsylvania one of the states where you must go public if you’ve won? I should probably look into that. 6. What has been the best moment of your career thus far? It might sound counterintuitive, but when I was made to resign from my last position. I landed in a great place, and I probably would not have moved into another area of law if I was not forced to. I also realized how many people I have in my corner; many that I did not even know were there. The amount of support that I received (especially from Barristers), in what could have been the worst time of my career, is something that I can never repay. I’m trying instead to pay it forward. 7. If you had a chance to give out your own award, who would you recognize? I believe that “ordinary” people doing extraordinary things should more often be recognized. Degrees and wealth don’t make a person great; good deeds do. Someone who does good for others when no one is looking, and does so expecting nothing in return, I’d like to give that person an award. 8. What is the most important advice you can give to members of the Barristers? Attend Barristers’ meetings. You will leave feeling better than when you walked in. And do good for others, even when no one is looking.